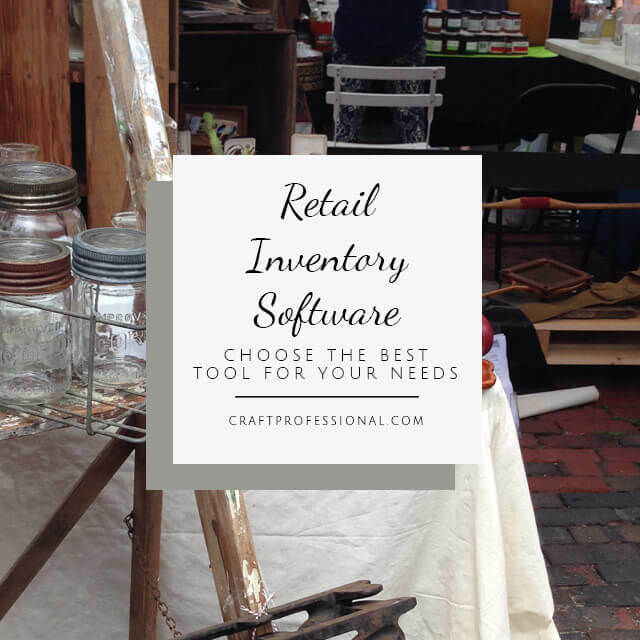 When a reader asked me about retail inventory management systems for craft professionals, I realized, in all the years of creating this site, I'd never written about how to manage inventory. Primarily, I'd avoided it because it's a huge topic that can quickly become very complex, and it's a question that doesn't have a single, easy answer. 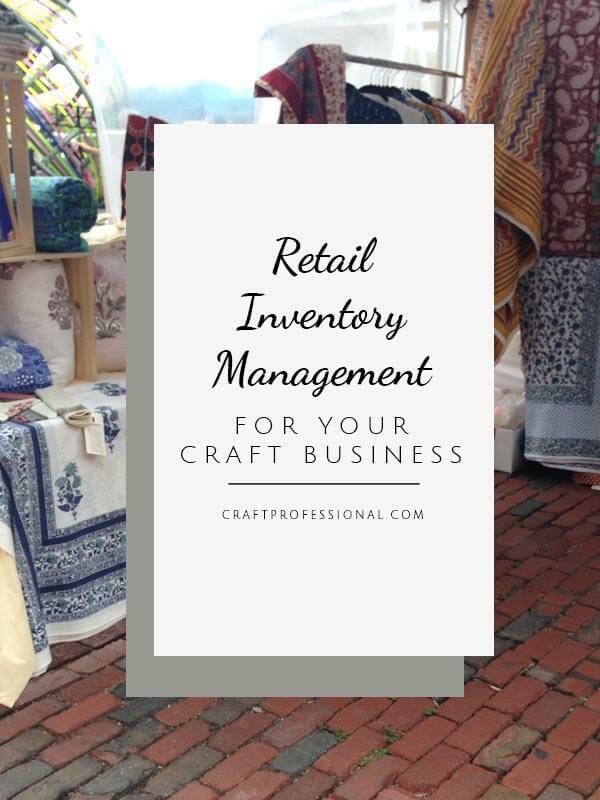 The features a craft professional will need in a retail inventory management system will depend largely on the type and variety of product you make, the raw materials you use, the sales venues you frequently use, the size of your business, and how much of your business organization you want or need to capture in this system. where are your finished products located? how will your storage system be reflected in your inventory management system? what information do you need to maintain to satisfy tax and business laws in your area? how will you track raw materials? how will you track costs and prices; expenses and income? do you need special point of sale (POS) software to manage your sales, and if so, will it function with your inventory management system, or is it acceptable to you to enter sales separately? Your answers to those questions will impact your inventory management system needs and your decision about what system is best for you. Don't panic, and don't give up. A good inventory management system will take time to choose, implement, and maintain, but if you develop a smart system that works for you and your product, it can make managing your business so much easier. Why is it worth your time to set up an inventory management system? You'll very likely need a lot of this information for tax purposes. Requirements vary from one location to another, and I am not an accountant, so I can't detail the specific information you'll need to keep up to date in order to satisfy your government's tax and business laws. However, a good inventory management system can help you maintain the records governments typically require. If you haven't already, I'd strongly recommend you meet with an accountant to determine exactly what records you need to maintain to fulfil your own government's requirements. I've worked with an accountant for many years myself. He provides excellent information, and his fees are affordable. You'll know what inventory you have on hand. A few big production sessions, and you can end up with piles of product all over your studio (and your living room, and your garage…). A good inventory management system helps you to keep track of exactly what you have on hand. Getting ready for a big craft show? No need to wonder what product you have ready. Your inventory management system will let you know. You'll have a way of knowing where everything is. Do you have some product on consignment at a local shop? Are all of your items listed on Etsy? Maybe you're juggling listings on several handmade marketplaces plus your own online shop. On top of all that, are you selling at craft fairs, too? That's a whole lot to keep track of! A good inventory management system can help you manage listing numbers for your online shop(s), and keep track of which stores have which pieces on consignment. It can help you track which items have sold so you remember to remove listings from other sites, and it can help you ensure you send the correct item to your online buyer. You can track your raw materials. A retail inventory management system can be used to track raw materials as well as finished product. That kind of information can help you track and manage business costs, ensure you don't over-buy certain raw materials, and also ensure you order new supplies in a timely manner. You can look for patterns to better understand your sales. Do you need to estimate how much product to prepare for the busy Christmas season? Maybe you're wondering if a craft show you attended last year is worth doing again. 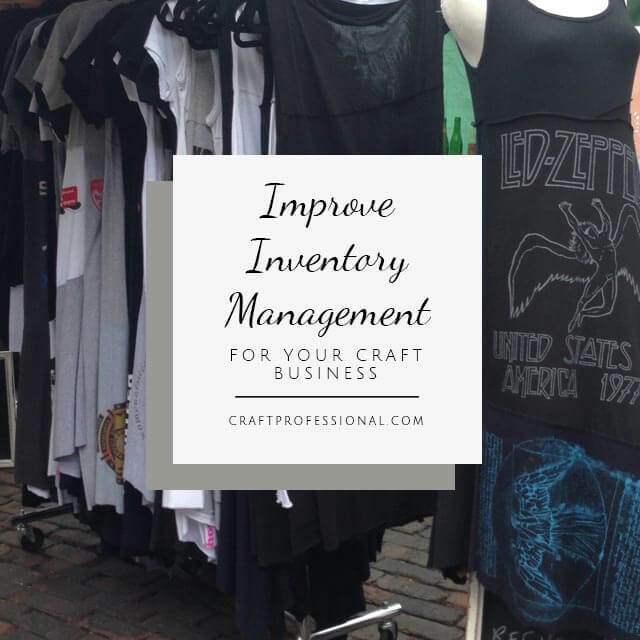 If you've accurately tracked your inventory over some time, you'll be able to see patterns in your sales and determine targets - like how much product to make for a given craft show. That kind of information can be very difficult to figure out in the early days of your business, but as soon as you have enough data to start to see patterns, you can start to make decisions based on that information.